Weekend is here and it is best spent pigging out on these seasonal fruits. 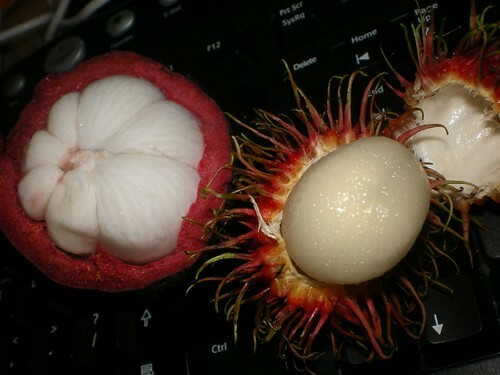 Many people tend to fall sick after taking too much of the mangosteen and rambutan (the hairy red one). It could be due to the sap but the Chinese said it is due to ‘heaty’. Sometimes, we will have four types to eat at one go. Rambutan, manggis, langsat and durian. It is fruits galore all day long. The ugly toad looking mangosteen. I believe it is a very popular health drink in the Western countries. Not sure what it does. Over here, we eat the fruits fresh. Red hairy rambutan the size of an egg. My second favourite fruits after durians. 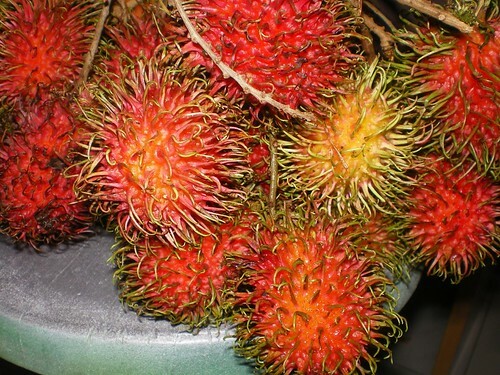 but i think rambutans are like reli heaty. fell sick after eatin em lol. so i onli eat mangosteens. durians… still ok.
DISCLAIMER: kalau lepas minum your mouth got gatal/itchy don’t come looking for me. I love mangosteen more than durian. 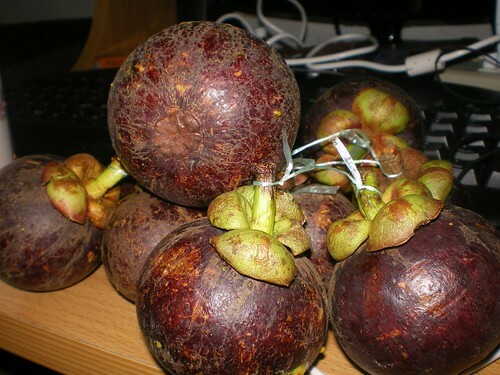 Bought 5 biji of mangosteen. It was AU$2.00 sebiji. So far this year I havent seen any yet here in Perth. Being a matsalleh loving in JB, maybe I know I have been in Malaysia too long when my 7 year old daughters fav fruit is rambutan and my 5yo boy loves durian! Apples, oranges – not interested! Would like to find out whether the rind of the mangosteen safe for consumption ( after juicing/blendered ) because I’m afraid the fruits might have been exposed to pesticides. Is anyone out there who can help me refute my claim.